There are times in this life when even the things you love, the really great things about life are… well…. not so great. I’m reminded of the time when my wife and I rented a motorcycle down on the Outer Banks for a long day of riding up and down the coast. What could be better? A sunny day spent combining all of our favorite things: motorcycle riding, the beach, back roads, and small family-owned restaurants. Except it wasn’t that great at all. It was hellaciously hot, the roads were clogged with traffic, and we ended up getting booted off Ocracoke Island immediately after arriving due to a hurricane evacuation. 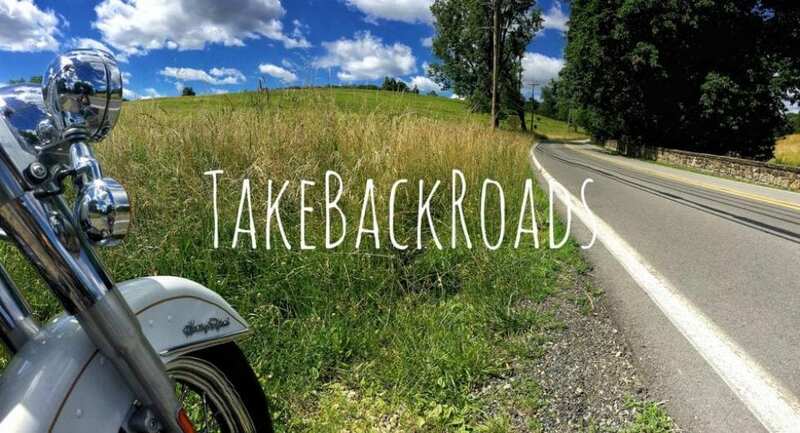 All of which to say, sometimes even our favorite things in life come back to bite us… which brings me back to the title of this blog: our first unpleasant experience taking a trip on back roads. The plan for our week was to pick my daughter up at her mom’s house (about an hour north of Pittsburgh), drive out to my parents’ house (outside of Harrisburg), then head down to the Delaware coast for the week. The entirety of this drive was actually taken on non-interstate roads. For example, we took PA Route 208 and US 322 to Harrisburg, PA 283 & 41, US 30, and DE 1 & 7 down to Kitts Hummock DE, and a vast array of roads coming home – DE 9, 1 & 7 again, PA 82, 10 & 340 and US 22 and 322, as well as several non-numbered local roads. In other words, a plethora of different back roads and literally zero miles on interstate highways. Yet despite this cornucopia of back road bliss, the trip was full of incredibly stressful and frustrating moments! Southeastern Pennsylvania and northern Delaware were the primary geographical culprits: many of the roads we experienced on this portion of the journey (in both directions!) were choked with unpleasant and aggressive drivers and a relatively shocking number of tractor trailers and tri-axle dump trucks. Even several of the no-name non-numbered roads were littered with angry and antagonistic drivers – I nearly got hit TWICE on tiny little two-lane Peters Road between “White Horse” and “Groffdale” (yes, that’s really a place) in the heart of Amish country by people who were being obnoxiously assertive. Delaware, I’m going to pour a little bit of extra scorn on you, because for such an otherwise tranquil and secluded state (you have less than 30 miles of interstate highway in your ENTIRE STATE), you have some of the rudest and most aggressive drivers I’ve ever experienced! It felt more like I was doing battle on the DC Beltway than driving the Delaware back roads…. Now, don’t let my grouchy mood fool you – the trip did include more than a few scenic spots and several very tranquil moments. The drive to Harrisburg (PA 208 & US 322) and the drive up the Delaware Bay on DE 9 were definite highlights of the trip, and would have still been highlights even if the other areas hadn’t been clogged with belligerent tourists and locals. I desperately wish we’d had more time to explore the adorable villages of Kennett Square, Lititz, and Manheim. Amish Country is chock full of rolling hill farms, homemade delicacies, and handmade furniture to keep your homes and bellies full and your wallets relatively empty. All of that being said, though, a very good friend of mine and I were heavily considering Kitts Hummock as a destination for our 3-day weekend motorcycle trip coming up in September. After experiencing the journey, the people and the traffic along the way, I have to say that this trip is definitely no longer an option for that weekend. No matter where we end up, it’s almost certain to be an excellent journey – and will provide even more fodder for posts that I have yet to write! Scott – Even Eden had its snake. Kitt’s Hummock isn’t Eden, but close to it. Love you both. That’s a very valid point. There’s more bugs in Kitts Hummock than Eden too, but it is an really remarkable place nonetheless! Love you too! You must remember all those rude drivers in DE come from other states visiting our beaches! We get visitors from Washington, VA, MD,PA, NJ, and beyond who bring their baggage with them. And don’t forget – a lot of the misery we experienced occurred after we had crossed back over the PA border.